Gun Folding Knife | BUDK.com - Knives & Swords At The Lowest Prices! 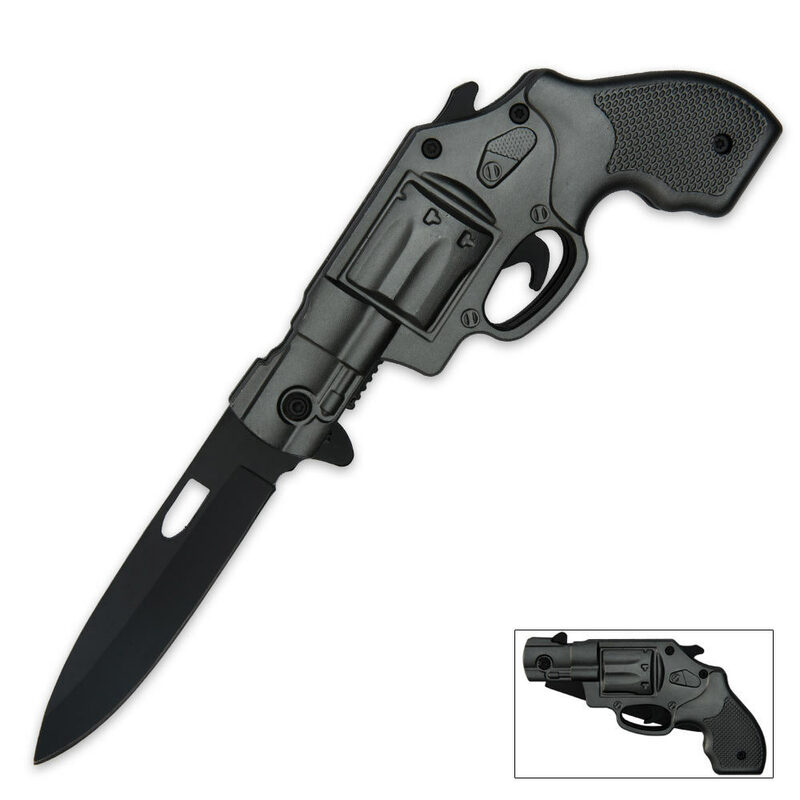 This knife looks just like a gun and features a black-coated blade and a black aluminum handle. The blade is constructed of high quality 440 stainless steel. Includes belt clip. 3 1/2” ov.